Madonna just published on her Instagram stories something that might be completely misunderstood or underestimated. We immediately spotted fans posting shocked or incredulous comments. 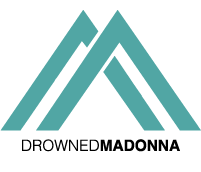 Many confess to being devastated because Madonna‘s body is not exactly what they would like it to be: extra-ordinary. A brave statement that, for a superstar of her stature, is someway equivalent to a coming out for a homosexual. What Madonna posted is a political image. A brave statement that, for a superstar of her stature, is someway equivalent to a coming out for a homosexual. The pride and courage to be “normal” and “unperfect”. To show the “normality” and the beauty of a body that is ageing. Madonna knows that you don’t want to see it or accept it, and that’s why she is rubbing it in your face. Isn’t this something that she has always been doing in her whole career? And it is not the first time that Madonna makes her body a political manifesto. Nowadays ageing and now being fit – by our standards – is something unacceptable and that needs to be hidden. Especially if you are a celebrity. From Madonna, people always expect the perfection, youth and athleticism. Out of the ordinary. This is also one of the reasons why the society would like her to graciously age out of sight. But she is Madonna. You’d better forget it! Her career proved how strong and brave she is. And she keeps on being. And finally, we want to point out that her body, especially for a woman at 60, is beautiful and in a better shape than the average. If you don’t understand it, or simply don’t want to accept it from her, then maybe… maybe, you have a problem. It could be called ageism, fear of growing old, or vigorexia/gymorexia.